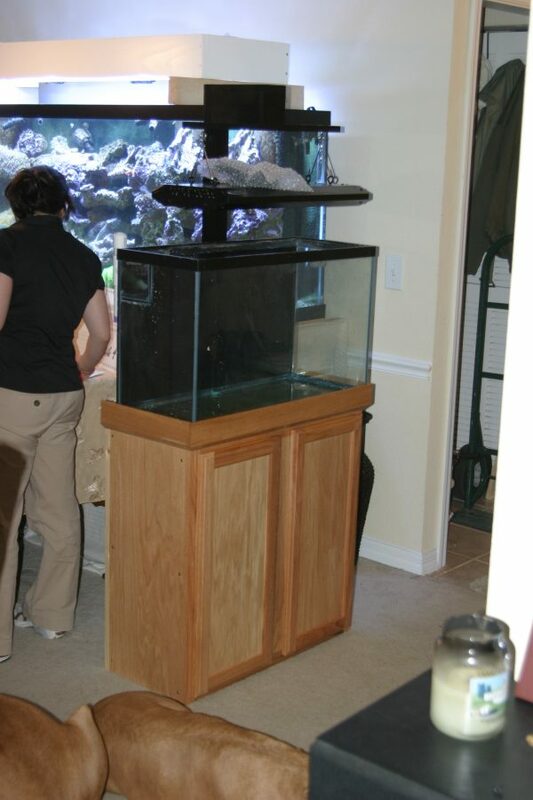 I was wondering if you think it will be too much light for my 55 gallon if I put a 2x250 watt metal halide set up on the tank? That's 9 watts per gallon. I'm thinking that might be too much. Or should I look into a 2x150w set up? That's about 5.5 watts per gallon. I currently have zoanthids, kenya trees, Montiporas and some acros. Also keep in mind that I might upgrade to a 75 in the next year or so. Why not go with a 175w setup. It will work on both your current setup and the 75g. 26" is to deep for a 150w halide, yo might want to upgrade that to a 250w for the depth. I recently bought the 36" Coral life 150w 10K fixture for my tank. If i wanted to upgrade to a 250 metal halide 14K bulb what else besides the ballast do i need to change?? Does anyone have a contact number for coral life? Hey gang I am upgrading my 75 gallon tank to a 110. Currently I am using Coralife 48 Inch Aqualight 260 watts. I am having a 15" canopy made for the new 110 so I can upgrade my lights since its a deeper tank. The measurements on the 110 are 48x18x30. From what I am reading the MH 400's are probably what I should use since its 30" deep. anyone have a prescription on lighting they would like to suggest? I am looking for something that can do SPS and LPS. Probably a combo between MH's and T5's. Any thoughts.... I am new to MH and trying to read up on them, but there is so much infomation its hard to understand it all. "A reef tank is a hole between two pieces of glass you throw money into." I have a 150g long so it is 72" long and top of water to sand depth is 24"
I have a hemmerhead and some xenia but thats it but plan to add more and want to make sure I am prepared for it. For now I would like to know if I should go with 3x250, 2x400 or 3 x 400. My tank also has a brace in the middle but I was considering replacing it with a 1/2" x 1" brace so i would not see the shadow if running a light over the center. I am having a canopy built so height is open right now and running a chiller is not a problem. Hi new at this Reef Keeping what lights would be good on a 29gal. tank 30x18x12???? I need help. I have a 120 gal reef. Which was previously lit by a solaris I4 until 1 of the 2 power supply's went bad. When it went it was 2 late to get another one. So I did not hesitate and got 2 t5 54 watt retro kits. For a total of 4 bulbs and I had 2 150 hqi halides laying around that I put on. All bulbs are brand new. Halides are 14 k ushio. The pendants themselve are different one is a coralife clamp on and the other is sunpak I believe. T5 's are on for 10 hours and halides are only on for 2 hrs. Its been 2 months and nothing is adjusting . 60 percent of the coraline has bleached. Everything closed 40 minutes after halides come on. I have stop using the halides for now and coraline is coming back slowly. I have asked around and the only thing I can think is maybe the protective glass on each is not uv rated.. does that sound right? anyone have a Idea? This is in reply to rejects post. I have the exact same tank with the same dimensions, and I was told to go with one 250w metal halide and four T5's and I also want to put some DIY moonlights on the hood as well. Any sugestions? I have an old 250w ballast, and a 150w bulb and holder... if i combine bth of these will the bulb last and be ok or will it destroy something? well i am setting up my 155 gallon bow-front and trying to figure out my lights.The one thing i really need to know is what brand of ballast to get.I am going to be going with 3 250watt on this tank. What brand do you guys like that are 250watts.Something that is not very loud,not to heavy, and doesnt take up to much space. anyone know a good combo for 250w electric galaxy ballasts? Great tread guys, but how long are you running these lights? The photoperiod is just as important as the as the spectrum. I can use some advice with my tank lighting my colors are kinda dull and someone told me running my 400 watt mh 8 hrs is way too long. You could try going with 2 250s 10K with your 4 T5s to supplement. You'd get extremely nice par for growth and still have the T5s to help with coloration. Does anyone know what the best 400w HQI mogul 20k bulb might be in terms of intensity?